I read this article and found it very interesting, thought it might be something for you. The article is called In Kashmir Valley, 74% More People Certified Disabled During PDP-BJP Rule and is located at https://archive.indiaspend.com/cover-story/in-kashmir-valley-74-more-people-certified-disabled-during-pdp-bjp-rule-23526. 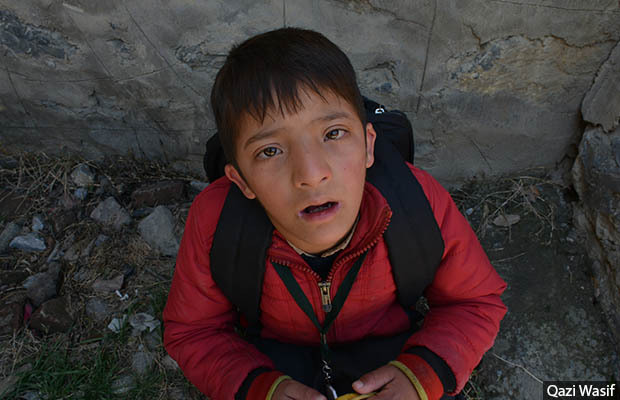 Raqib Mukhtar, a first-grade student at the Zaiba Aapa Institute of Inclusive Education in Bijbehara, Anantnag district. The Kashmir valley saw a 74% rise in number of people certified disabled during 2015-17, compared to the preceding three years, data show. Srinagar: In three years to 2017–when the coalition government of the Bharatiya Janata Party (BJP) and the Peoples Democratic Party (PDP) was in power in Jammu & Kashmir–31,085 people were certified as disabled in the 10 districts in Kashmir valley, up 74% from 17,898 people in the three preceding years, data obtained through right to information requests show. Jammu & Kashmir is the only state yet to implement a 2016 law that recognises 21 disabilities–up from the earlier seven–suggesting that actual numbers could be even higher. Since 2016, 1,314 eyes of 1,253 people were impaired after being hit by pellets, and the chances of recovery are poor, Greater Kashmir, a local daily, reported on April 8, 2018. Blindness accounted for 68.9% of disabilities in the state compared to 44.5% nationwide, according to the JBM & SSR study quoted above. “According to official figures, 17 people were killed by shotgun pellets between July 2016 and August 2017, and 6,221 people were injured by the metal pellets between 2016 and March 2017,” according to the first ever United Nations Human Rights report on Kashmir, released on June 14, 2018. More than eighteen months since, all these are yet to be implemented in Jammu & Kashmir. Under Article 370 of the Constitution, parliament has power to make laws only on defence, external affairs and communication-related matters of Jammu & Kashmir. So, a legislation has to be passed in the state’s assembly for bills passed by the parliament to come into effect in the state. “The Act is yet to be passed and it is in process and it will be done very soon,” Waheed Para, youth president of the PDP, had told IndiaSpend before the BJP-PDP coalition parted ways on June 19, 2018. Most public offices in the state are inaccessible to the disabled because they do not have ramps, said Parvez. When a disabled person steps out of his home, they face obstacles at every level, said Tak. The footpaths are not disabled-friendly. There are only 15 disability care institutes–each with a capacity of 40 people–in the state, according to this research by Department of Economics, Annamalai University, India. Only 0.05% of the state’s disabled population has access to education, while others are out of the range of basic necessities such as education. Students at the Zaiba Aapa Institute Of Inclusive Education, Bijbehara, Anantnag district. The school is run by disabled-rights activist Javid Ahmad Tak. Most schools in the valley are not disabled-friendly, with no ramps for wheelchairs, and no special educators trained to teach disabled students. Children with low vision or blindness require to be taught in braille, but most schools lack such facilities. School toilets in schools are not disabled-friendly, Tak added. 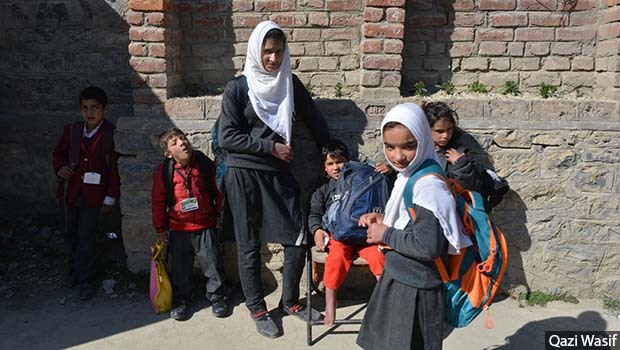 Most schools in the valley do not have special educators trained to teach people with disabilities, said Abdul Rashid Bhat, president of J&K Handicapped Association. “This affects the communication between the teacher and the student, often leading to dropouts,” Bhat added.